The Edmonton Oilers are a team in transition -- one that is looking to get younger and faster as it aims to become a more competitive group in the ever-so-tough Western Conference. 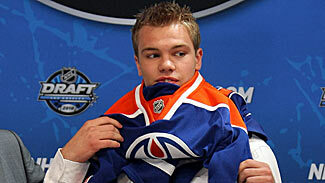 With the first pick in the 2010 Entry Draft, the Oilers took a giant step toward accomplishing that goal when they selected Taylor Hall, a potential superstar who had 106 points (40 goals, 66 assists) in just 57 games for the OHL's Windsor Spitfires last season. There's little doubt Hall will be in the lineup when Edmonton opens the 2010-11 season on Oct. 7 against the Calgary Flames at Rexall Place -- especially when you consider Dustin Penner was the only player on last season's roster to score more than 17 goals. New coach Tom Renney will be in search of more offense after he and former coach Pat Quinn saw the Oilers score only 206 goals last season, the second-fewest in the conference. It was one of the many reasons why Edmonton won only 27 games and finished with the fewest amount of points in the League (62). Quinn was removed as coach June 22 and now is a senior advisor for the club. Oilers GM Steve Tambellini began giving the organization a facelift at the draft, when he sent prospect Riley Nash to the Carolina Hurricanes for a 2010 second-round draft pick (Martin Marincin). Days later, the Oilers bought out the final year of Robert Nilsson's contract after the Swedish forward once again failed to meet expectations with 11 goals and a minus-17 rating in 60 games. Also sent packing were forwards Ethan Moreau (claimed off waivers by Columbus) and Patrick O'Sullivan, who was dealt to Phoenix for Jim Vandermeer. Moreau had just 9 goals and 9 assists in 76 games last season, while O'Sullivan was a team-worst minus-35. He had 11 goals and 23 assists in 73 games. Hoping to bolster his blue line, Tambellini acquired Vandermeer on June 30 and signed unrestricted free agent Kurtis Foster to a two-year contract July 1. Vandermeer, 30, went 4-8-12 with 60 penalty minutes in 62 games with Phoenix last season, while the 28-year-old Foster had 42 points (8 goals, 34 assists) in 71 games for the Tampa Bay Lightning. Taylor Hall, C -- Sometimes, being the worst team isn’t the worst thing in the world. Edmonton was "rewarded" for having the fewest points in the League in 2009-10 by getting Hall with the first pick in the Entry Draft. The 18-year-old had 106 points (40 goals, 56 assists) in 57 games for the Windsor Spitfires (OHL) last season, and is all but guaranteed a spot in Edmonton's lineup. He'll inject life into a team that appeared lifeless more often than not last season. Sam Gagner, C -- He may be entering his fourth NHL season, but the Oilers' first-round draft choice from 2007 is only 21 years old. Now, the hope is that Gagner can become the dynamic scorer that he appears capable of being. First things, first, though -- Gagner needs to stay healthy and eclipse the 50-point plateau for the first time in his career. Magnus Paajarvi-Svensson, LW -- It's time for Edmonton's first-round pick from 2009 to make the jump to the NHL, as the Oilers signed the Swedish forward to an entry-level deal in June. They're confident the potential power forward (6-foot-2, 208 pounds) can be a top-six forward, where he could skate alongside either Hall or Gagner. Tambellini also took advantage of the Chicago Blackhawks' salary-cap issues as he acquired Colin Fraser on July 1 for a 2010 sixth-round draft pick. Fraser, 25, is a solid-two way player who likely will receive more ice time in Edmonton. He scored 17 goals for AHL Rockford in 2007-08, and had 19 points in 70 games last season for Chicago. On the third day of free agency, Tambellini took a low-risk/high-reward gamble on Alexandre Giroux. The 29-year-old forward spent the majority of last season with AHL Hershey, where he had 103 points (50 goals, 53 assists) in just 69 games. He also had 14 goals and 13 assists in 21 playoff contests and helped the Bears win the Calder Cup. One has to think Renney will give Giroux every opportunity to make the Oilers out of training camp. There's potential for another long season in Edmonton, but it appears Tambellini has the club headed in the right direction. For starters, he has a phenomenal teacher behind the bench in Renney, who should work wonderfully with this young group. He has Hall to keep the fans at Rexall Place on the edge of their seats on a nightly basis. 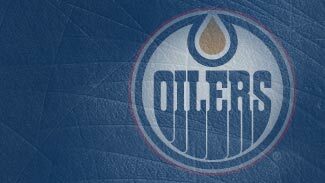 And let's not forget, the Oilers still have quality and youth up front in the likes of Penner and Sam Gagner. Penner had a team-high 32 goals and 63 points last season. On the blue line, Sheldon Souray is primed to prove he can stay healthy -- and be happy in Edmonton. It's been a tough go for the 34-year-old, who has appeared in more than 40 games just once in three seasons with the Oilers due to injury -- last season it was a hand injury suffered in a fight with Calgary's Jarome Iginla that limited him to just 37 games. After the season, he asked for a trade, something Tambellini said he would work on, but camps opening in less than a month, it looks like both sides will have to learn to get along. Truth be told, the team has a very experienced defensive corps. Only Taylor Chorney (23) and Ladislav Smid (24) are under the age of 25, while Vandermeer, Souray and Jason Strudwick are all 30 or older. That should be comforting to goaltender Nikolai Khabibulin, who hopes to be ready for the start of training camp after undergoing back surgery -- an injury that limited him to just 18 games last season. If Khabibulin can't revert to his old form, the Oilers have Jeff Deslauriers and Devan Dubnyk in the mix.